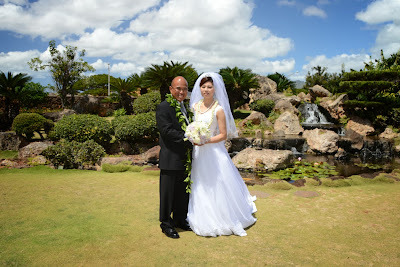 Bobby & Makiko get married at Hawaii Okinawa Center in Waipahu. We have very few photos of this wedding venue. It's a great place to have your wedding and a Reception Dinner at the same place for a reasonable price.